Linges de bain There are 12 products. The Écume des Jours Egyptian cotton bath linen is finished with openwork woven borders and a Nina Ricci Maison woven label. 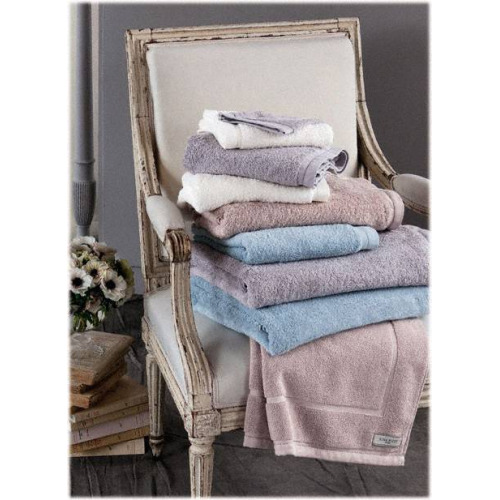 Its softness and powdery colors make it really easy for you to coordinate your bath linen with the Point du Jour bed linen and the Alizé and Mistral bathrobes. Short bathrobe made of a double layer pre-washed cotton proposed. Available for women in the Alizé range and for men with the Mistral range. Rediscover the most emblematic colors of the Nina Ricci designs with our range of colorful beach towels.